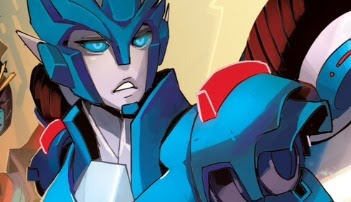 She's Fantastic: Transformers Siege - CHROMIA! 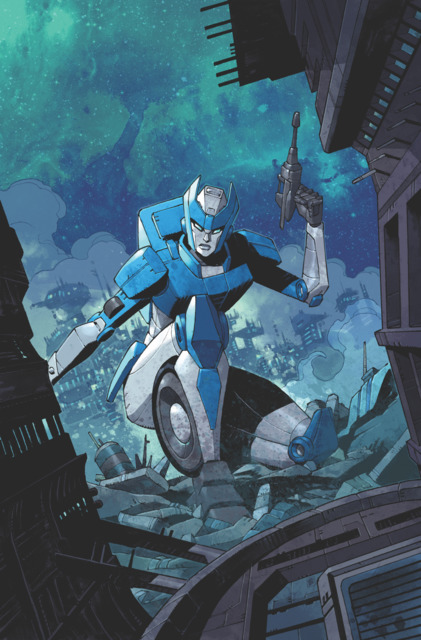 Chromia has surprisingly become one of the most popular female Autobots in recent years. For only appearing in a single episode of the original cartoon, she sure gets a lot of attention. I just watched her episode again (The Search for Alpha Trion) and she is indeed a pretty impressive character. 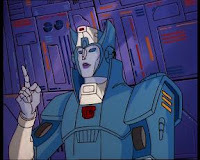 She appears to be the field leader for the female autobots; giving out orders and keeping a level head the whole time. 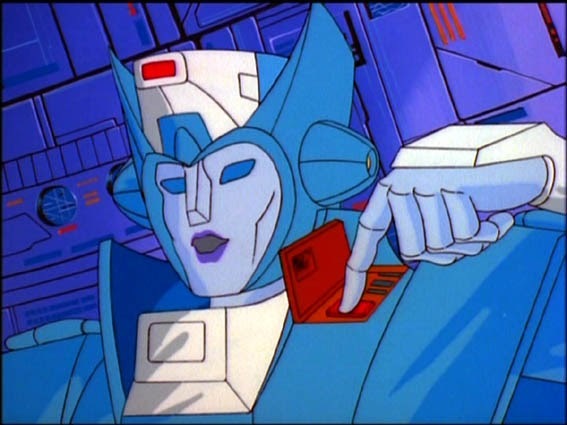 I also think the fact that Elita One has such a similar palette to Arcee pushed Chromia to the forefront when Hasbro was looking for another female to promote in the toylines (and her cool name didn't hurt her case much either). This is the second unique G1-styled Chromia action figure in the last five years (and I somehow doubt she'll be the last). But in the meantime I'm hoping this body mold will be re-used for a few additional characters, too. I can imagine a Beta, Nautica, and a long-overdue Deluxe-scale Elita One coming in this sculpt down the line (at least I hope so). Let's check out Chromia below! 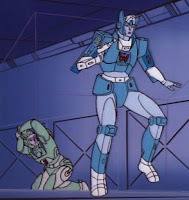 Chromia comes with a handgun and two grenades (which can clip onto several parts of her body). Here is Chromia with last year's Moonracer and Novastar. Here are a few comparison pics with the 2014 Generations Chromia. They are both really terrific figures and very distinct, too. When they first announced a second Chromia I thought it was a waste a character slot, but I'm happy to have both in my collection. And here she is with the recent Moonracer figure. 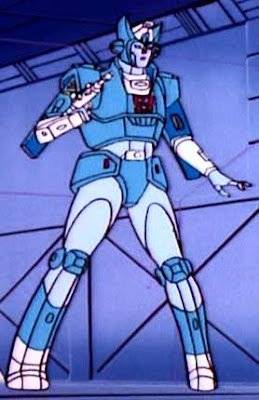 I keep reading that Chromia is just a retool of the Moonracer mold, but I think she looks like a completely new figure. Another great Transformers figure! The female robot collection is certainly growing.